Our garden rooms are at the back of the house and each one has its own terrace and looks onto the garden. All rooms include comfortable premium king beds together with quality duvets, pillows and fine Egyptian bed linen for a relaxing nights sleep. 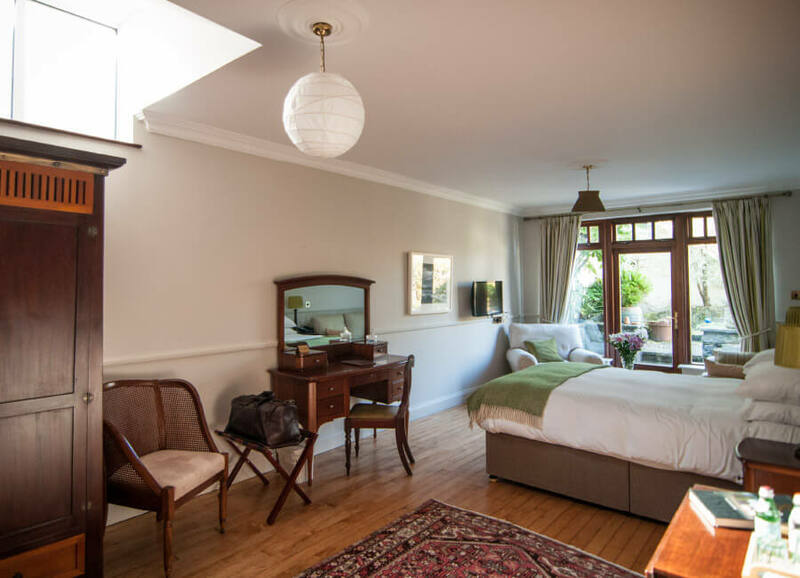 All Wild Honey Inn rooms have modern amenities including free Wi Fi, flat screen TV and luxury Eco toiletries. 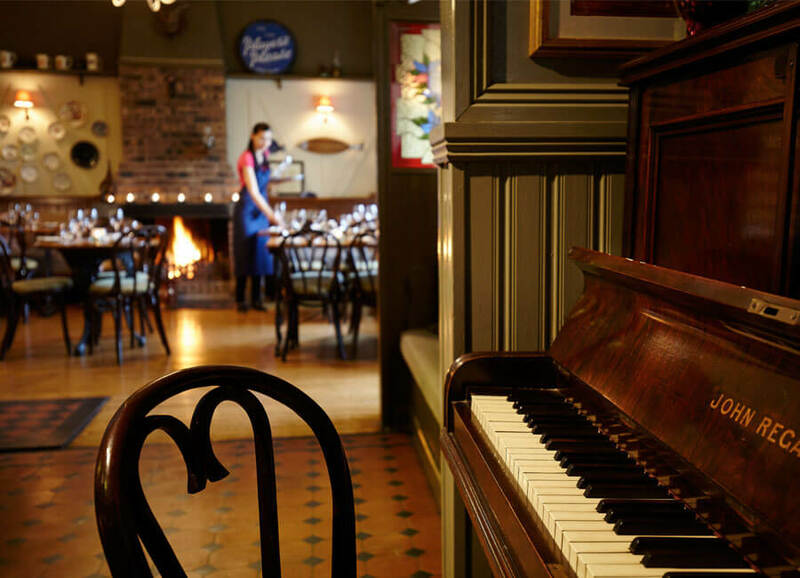 From the atmospheric bar for evening cocktails, drinks and dinner, to the quaint library for tea or the quiet escape of the garden and look at the wild Irish sky to the west - there’s plenty of space to just relax and love every moment of your time with us. All rooms are available from 3pm and checkout is 11:00am. Check in is between 3pm and 6pm. Early or late arrivals is by prior arrangement only. As WHI is a family run Guesthouse and not a hotel, our reception is not always attended. After 6pm the reception will be unattended - please check for assistance in the bar. This is a busy time of day - your patience is much appreciated. This is a non-smoking guesthouse. A €200.00 cleaning charge will be incurred to any guest smoking inside the bedrooms. Wild Honey Inn is an adults only destination. Our restaurant is small and tables are limited. If a booking is cancelled less than 7 days before arrival, then one night will be charged in full. In the event of a no show or booking reduction (after arrival date) no refund will be given. All cancellations need to be confirmed in writing. During these months our usual opening days are Wednesday to Saturday for accommodation and dinner. To find out more about our latest special offers click here. If you would prefer to book by telephone, please call the guesthouse between 12 noon and 4.30pm, Monday to Friday. Otherwise, please leave a message and we will revert as soon as we can. Thank you. Wild Honey Inn is open for Dinner Tuesday to Saturday 6pm to 9pm - Closed Sunday and Monday. For Non-Residents: Telephone: 065-707-4300 and press (2). Our Accommodation is open 6 days (Monday - Saturday) except Bank Holidays, where we open on Sunday night - rates includes complimentary breakfast. 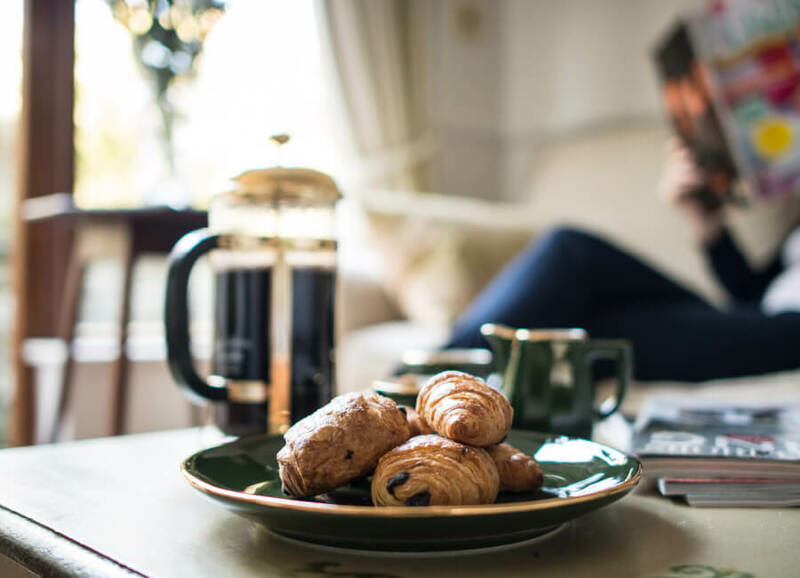 We offer stay and dine packages for one, two and three nights which can include one, two or three dinners. One night Gourmet Mini-breaks are available midweek only. These offers are subject to availability. Gift Vouchers: A Gift Voucher does not guarantee booking for dinner - a booking must be made in advance. Gift Vouchers are valid for a maximum of 12 months. 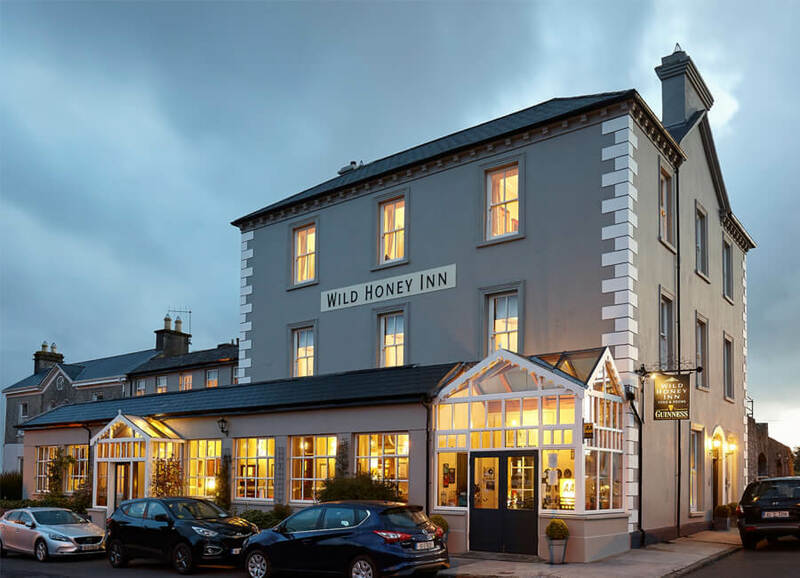 Wild Honey Inn reserves the right to refuse the use of vouchers after the expiry date. Please Note: Lost Gift Vouchers cannot be re-issued. Due to the layout and age of the building, our rooms are not wheelchair accessible or suitable for persons with limited mobility.